This pickle makes me laugh….. It kind of looks like Mr.Bill…. 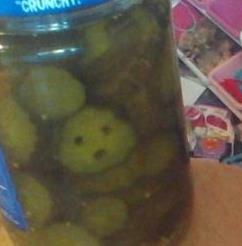 So it is pickle face….Mr.Bill’s cousin…..